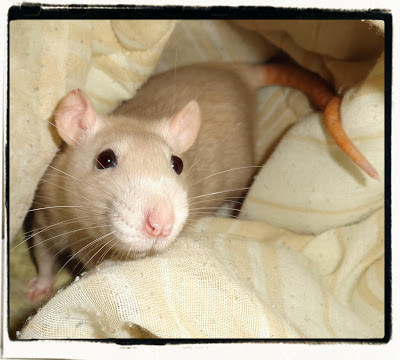 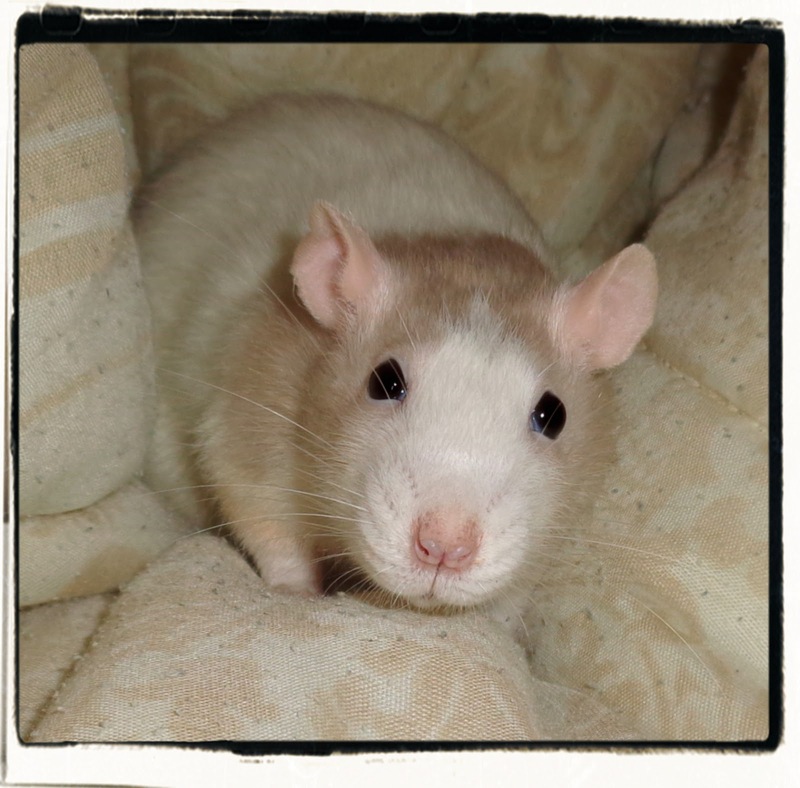 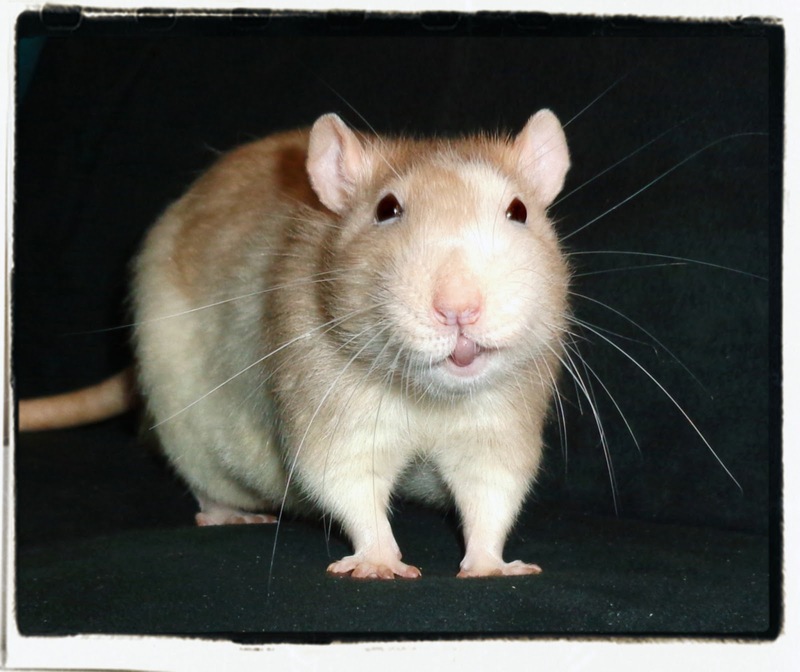 Here's a few recent photos of some of my pets rats! 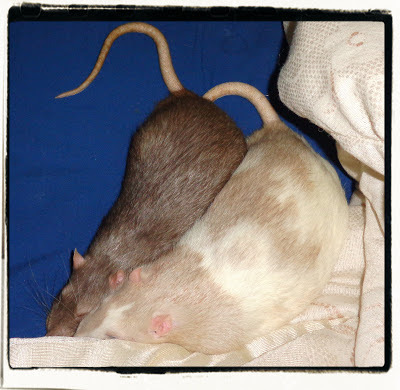 Teddy & Templeton stayed like this on my bed, after I pet them. Emile using Remy as a pillow! 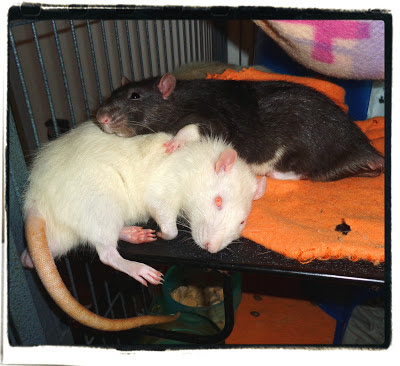 Emile and Teddy and um... rat balls... lol.